Happy Fall Y'all! I can't believe it's already time to start putting out pumpkins and Fall decor! The good news is I have a super fun project for adults and kids today! 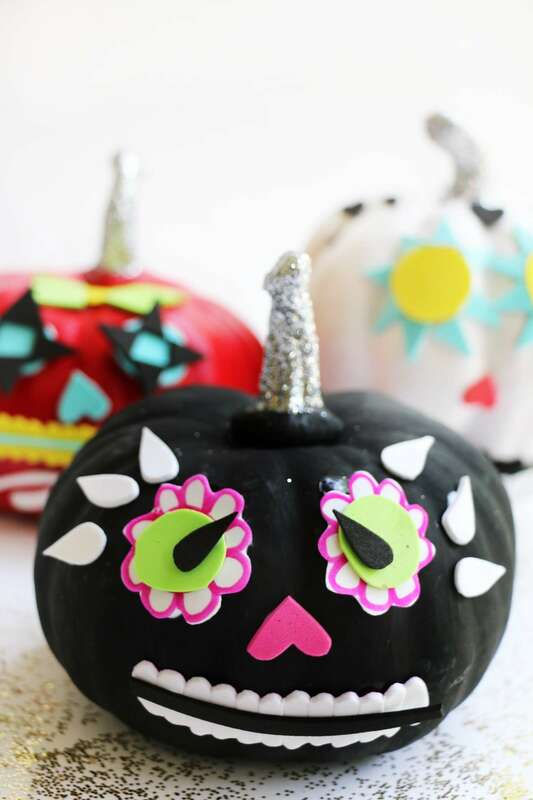 I will be showing you how to create one of a kind Day of the Dead pumpkins to make any space happy! 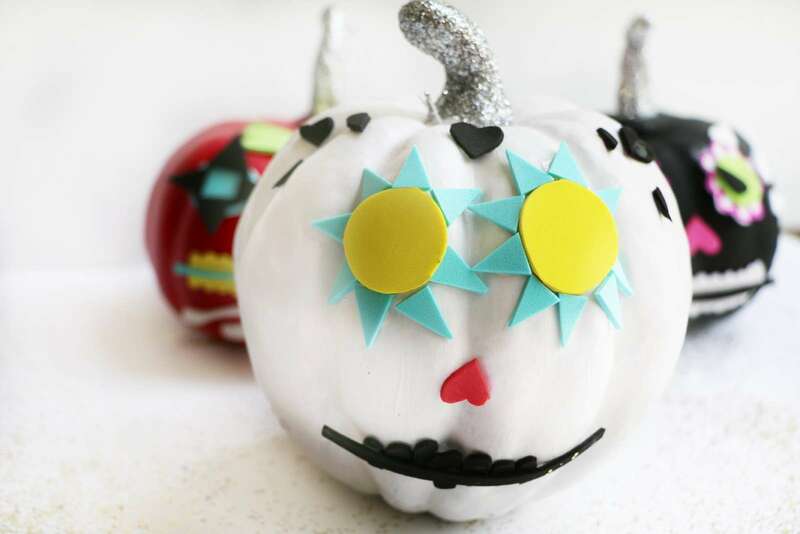 This is a great family project as well so make sure get a lot of pumpkins! Let's get started. 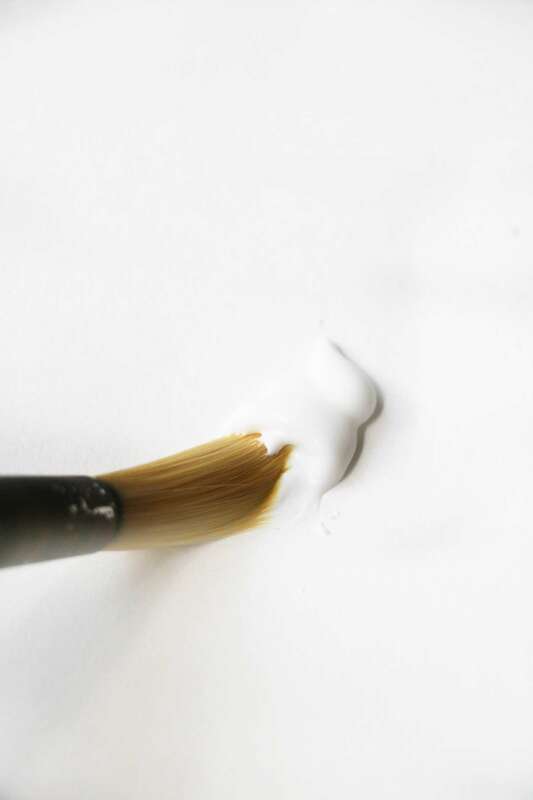 Trust this superior formula to bond foam and felt! 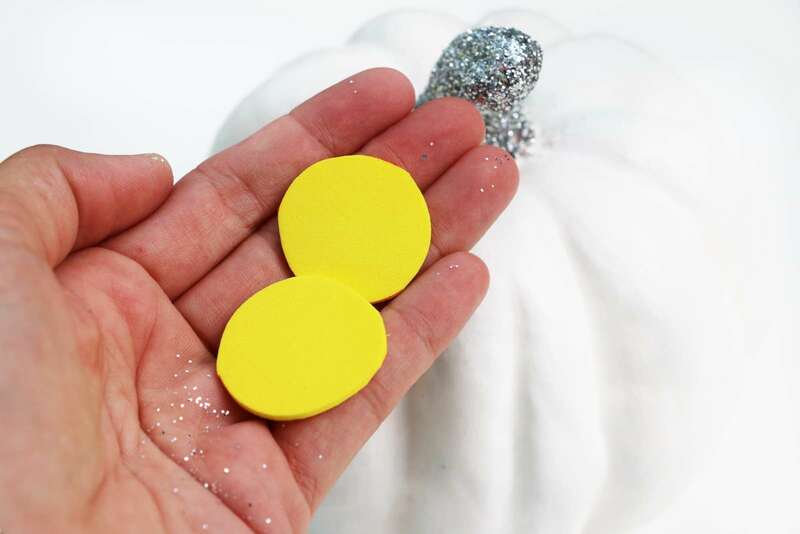 Great for adhering glitter, pompoms, feathers, chenille stems and more to felt and foam! I like to use craft pumpkins for a project like this because they come in ton's of different shapes and sizes and they look great in clusters. Don't worry about the color of them when you purchase them because we will be painting them. 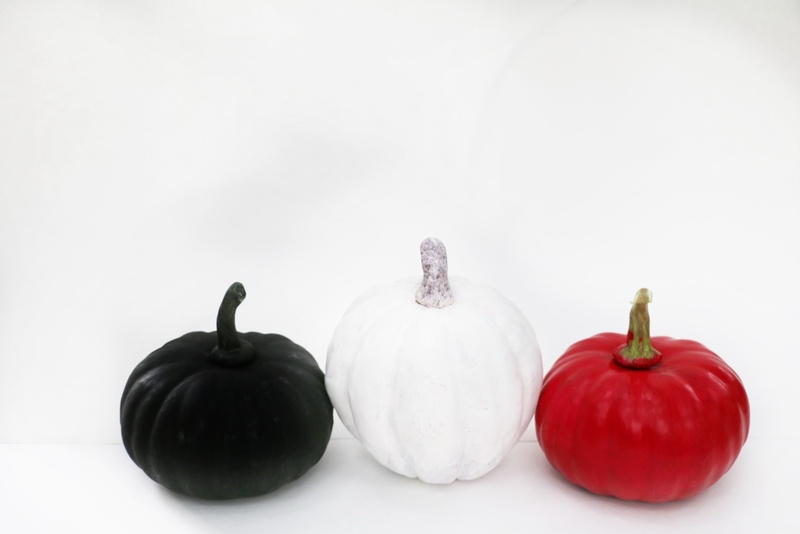 I like to paint my pumpkins solid colors that will look good with ton's of color added to them. 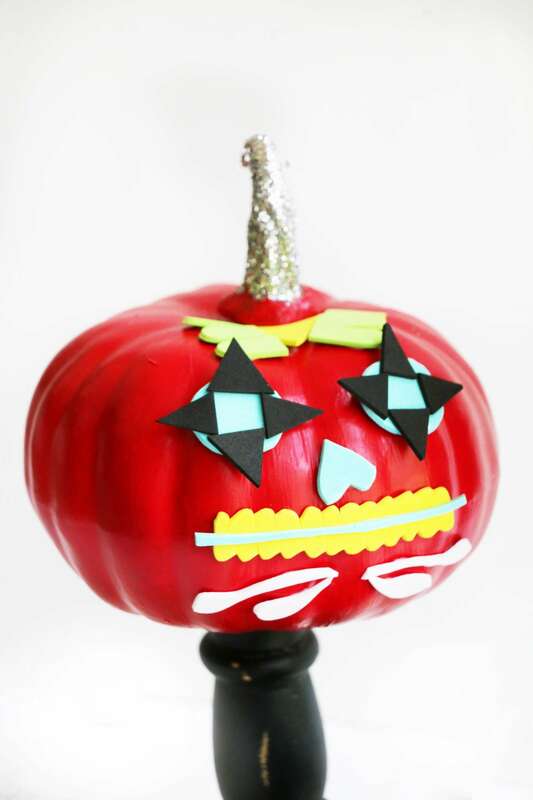 Keep in mind you might have to paint your pumpkins 2-3 times to make sure they are coated completely. 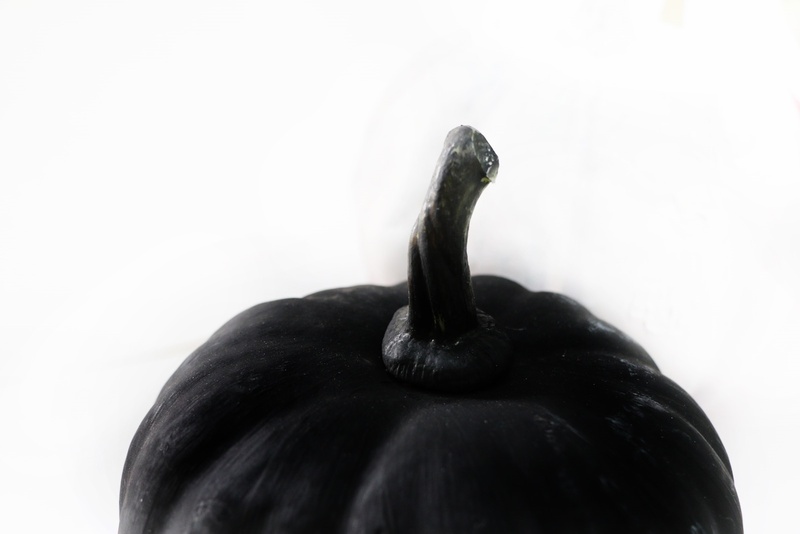 How beautiful is this pumpkin just painted a solid matte black color. I am in love with this one! 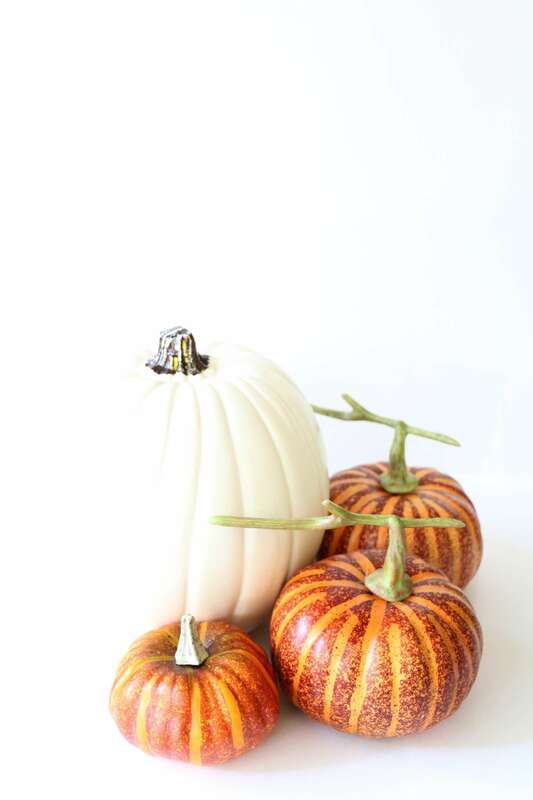 Squeeze out some glue on a clean surface and using a brush coat the stem of all your pumpkins. 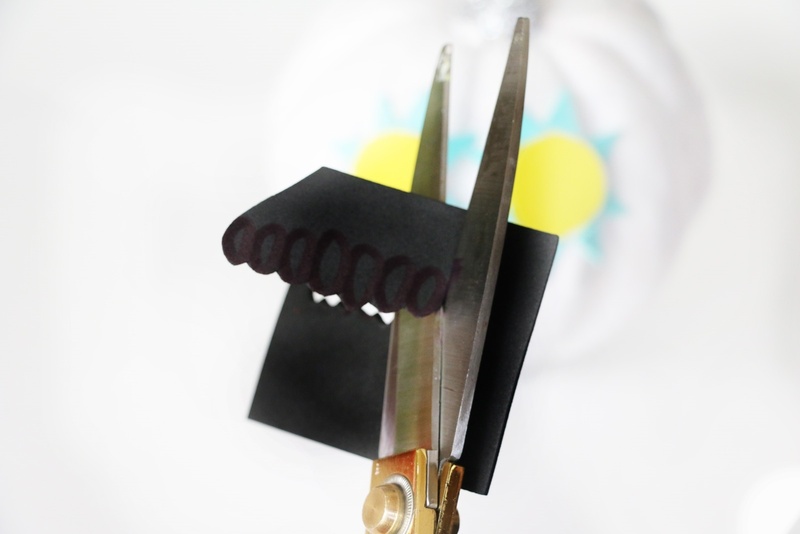 Make sure to use a good bit of glue to make sure the stems are coated nicely with glitter. 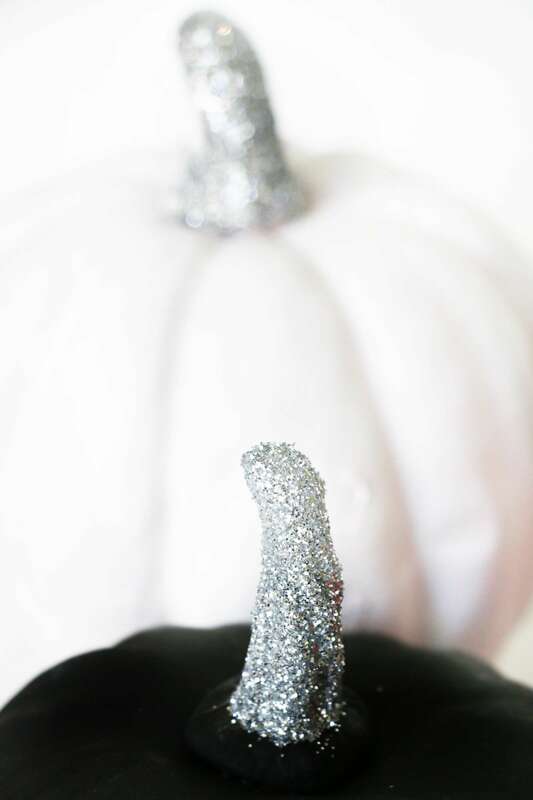 Once your stem is coated with the glue have a party and sprinkle whatever color glitter you want on the stem! While my stems were drying I printed out some generic Day of the Dead pictures to use as ideas to decorate my pumpkins. 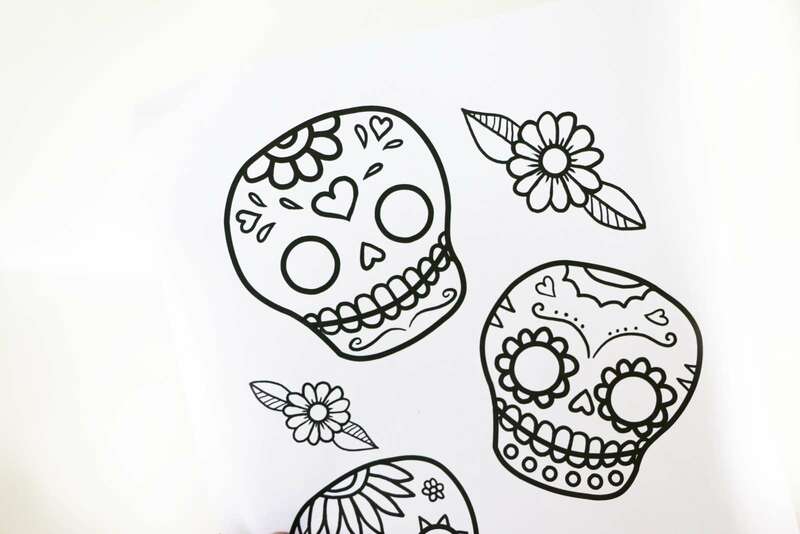 First thing you will do is get a marker and draw out all your designs onto the craft foam sheets. When you are done you can then cut out all of your designs. If you have small kids doing this project you might want to have an adult cut out the pieces for them. Safety comes first! 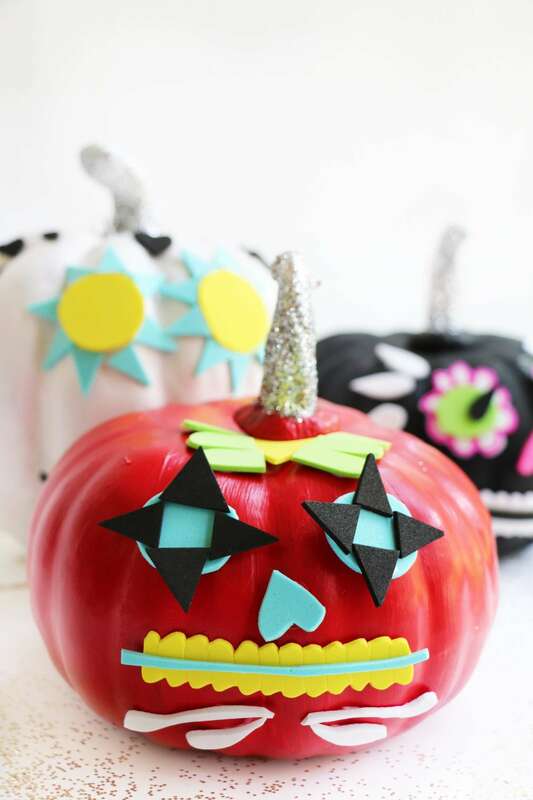 Once your designs are cut out you can then start applying the glue to the pieces and applying them to your pumpkins. 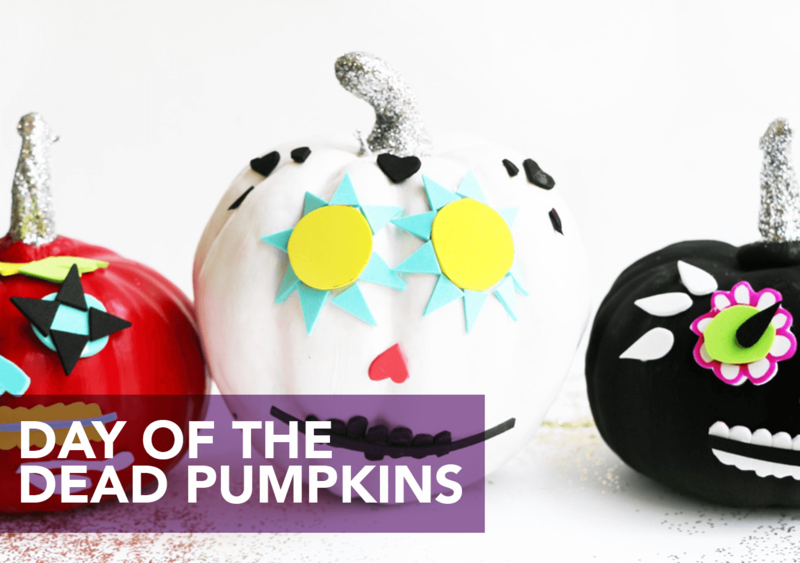 You might have to lay the pumpkin flat on it's back to make sure your foam pieces don't fall off until they are dry. This is where the fun starts!!! 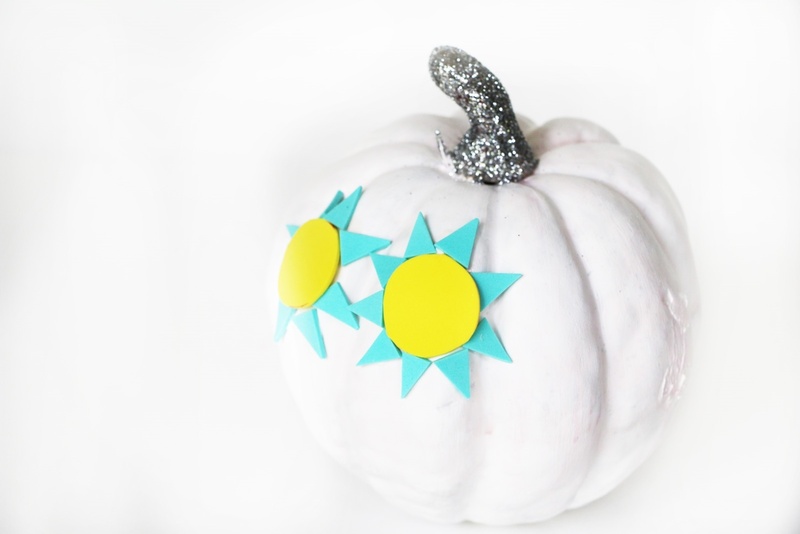 The great thing about this project is you can design your pumpkins any way you want! If you look closely I drew teeth and I am carefully cutting around them so they look real! I think the teeth is the most tedious part, haha! 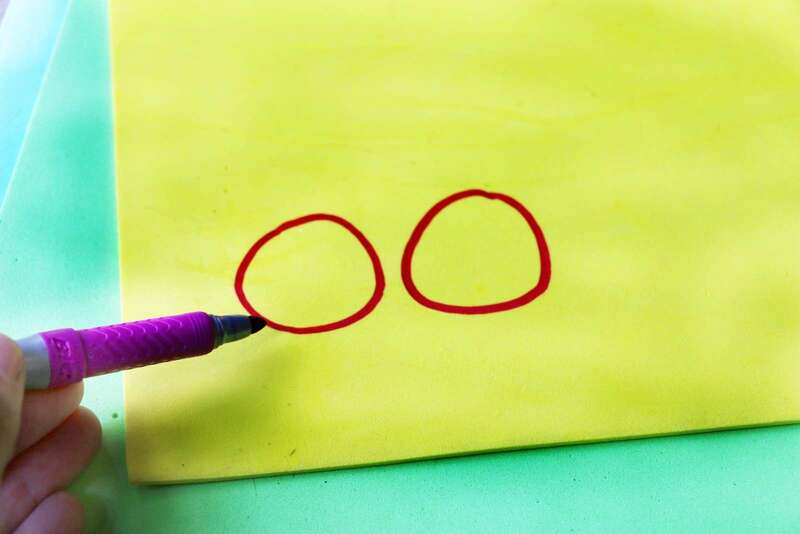 If you draw on a light color of foam you can either flip it around so you don't see the marker lines or you can keep them facing the front which I did. I actually enjoyed the pop of color against the white. I am in love with the black one! 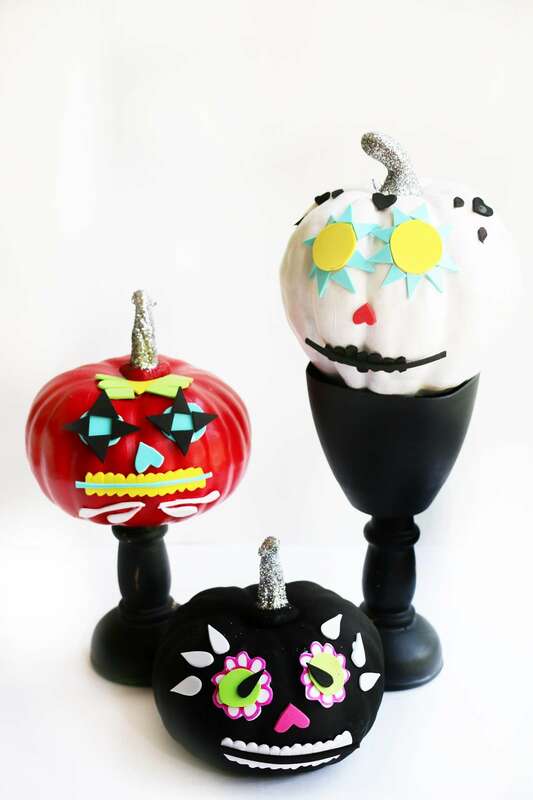 These would make great centerpieces for Fall or Halloween! 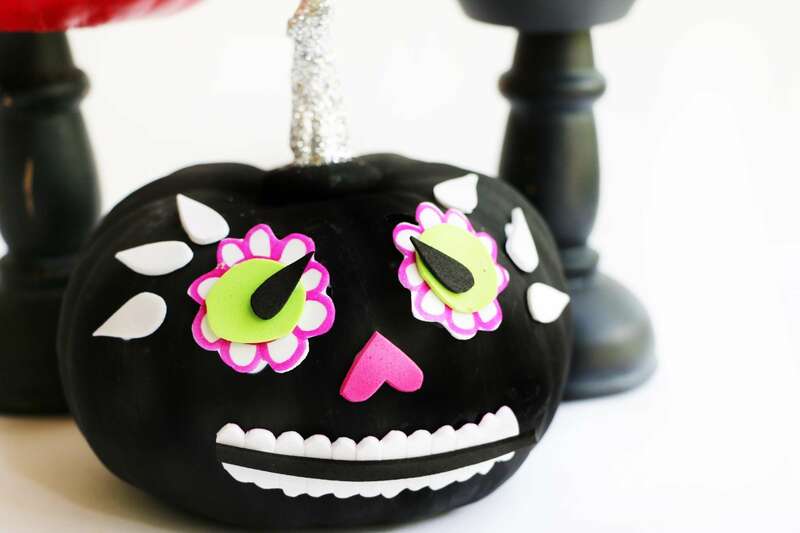 You can even add some of our glow in the dark paint to your pumpkins so at night they will glow! I hope you enjoyed this project and you have fun creating your very own! 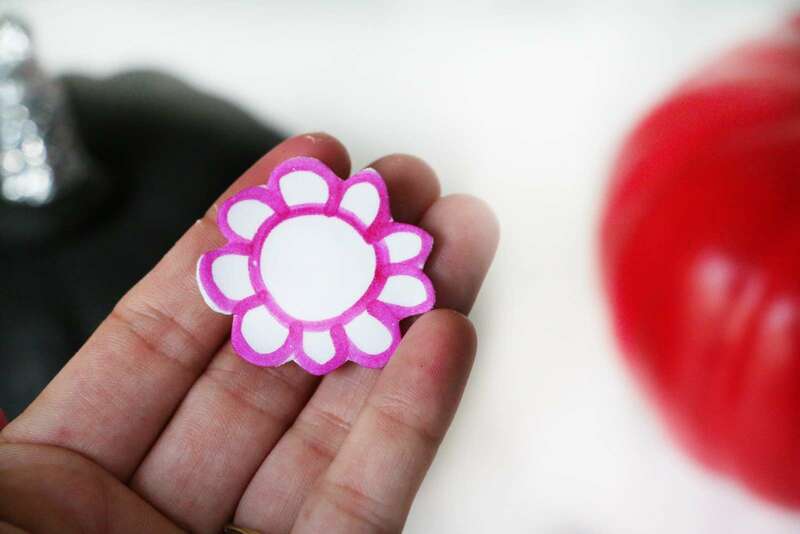 Make sure to share them on our Facebook page if you make some! Until next time!